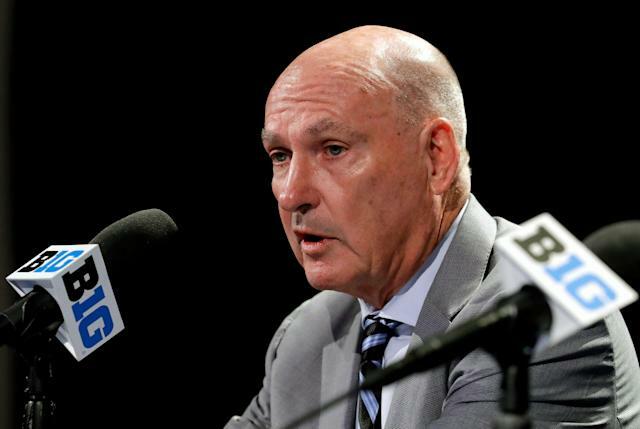 Jim Delany is retiring as Big Ten commissioner, a job he has held since 1989. For college football there is one question that hangs above all: Does this mean the playoff is going to expand? Yes, it almost certainly will. Not immediately, though. This is but a step, not the solution. Delany’s retirement, as well as the expected changing of the guards over the coming years in the ACC, Big 12 and, who knows the way things are going out west, even the Pac-12, will almost assuredly usher in a new era of decision makers who aren't influenced by wistful memories of the Bluebonnet Bowl. Talk to 40-something and even 50-something college administrators, mostly athletic directors or associate commissioners who eventually take over the sport, and you’ll hear a far different worldview than the 71-year-old Delany and his peers. Soon enough discussions in college athletics will start tilting to what can be done, not what can’t be done. That isn’t to say Delany was afraid of change. He impacted and revolutionized college athletics in massive ways via the creation of the Big Ten Network to the blind expansion of league membership to increase the value of that cable channel. That is what made him so infuriating to fans. He was inconsistent, a situational traditionalist. How does the guy who defended the bowl industry by waxing on about how the sun sets over the San Gabriel’s just as the second half of the Rose Bowl is about to start just up and add Rutgers and Maryland to the league, rattling schedules, culture and competitive balance? How did someone who liked to use sepia-toned statements of how the old way was the best way for Midwestern values also chase every dime imaginable, such as putting Big Ten games on Friday nights and thus infuriating local high schools? How does someone dig his feet in about the historic flow of a sports season but then drop everything (and condense a basketball calendar) so he can stage a conference tournament in his personal favorite locale, Madison Square Garden? So much for Indy? Delany was all about the Big Ten, except when he wasn’t. He made the league’s schools a killer amount of cash, but to what end? He had incredible influence but of course opposed providing players with the rights to their name and likeness because there supposedly wasn’t any money to spare. He was also against (for a long time) even doling out a stipend to cover cost of attendance. Of course, the world didn’t end when that finally went through. He always touted the importance of a scholarship, and he was correct about that. It’s invaluable. Yet he did nothing to use the Big Ten’s considerable political force to demand an increase in the NCAA’s paltry scholarship limits of non-revenue sports. That would allow schools with the resources (such as the Big Ten) to give more athletes and families those life-changing free educations. Instead, schools had money and nowhere to spend it — other than on plush offices, opulent facilities and more and more and more well-paid staff. Hey, team, check out our new gazillion-dollar softball stadium that is beyond what anyone actually needs. Of course the 21 of you on the roster still have to split just 12 scholarships. As for the football playoff, he hated it, even if turned out to be good to the Big Ten. Ohio State doesn’t get to play, let alone win, a national title in 2014-15 under the old BCS. The current four-team model was a compromise, of course, to appease the Delany set. It would be even better if it contained eight teams and included an automatic bid for the Big Ten. That would increase the value of the regular season and assure the conference a spot at the table, but Delany was against it. It likely centers on the fear bowl directors have about on-campus playoff games. Delany once claimed that the creation of a playoff would cause bowl games to die off. It sounded like a bowl industry press release. The playoff did arrive, though, and there are more bowl games than ever. A playoff home game in the Midwest would be a competitive advantage (let’s see some SEC team play under falling snowflakes in Columbus or Ann Arbor), not to mention an economic boon for traditional college football towns that have supported the sport for generations. Instead, Delany favored everyone flying to Arizona or Florida or California to drop their discretionary income out of the region. Again, who knows? It doesn’t matter anymore, though. He’s retiring, the end of a formidable era in college athletics. Money got made. Some traditions were defended to the bitter end. Others got chewed up in search of cable subscribers. Gulp, Rutgers is here to stay. For college football, and those seeking playoff reform, there is increased optimism for the future. No knocking Jim Delany. All hail the king. For 30 years, he almost always got what he wanted. And now, perhaps, the next generation will get to push for what it wants.